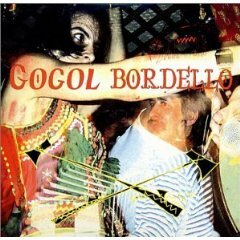 A GammaGamma Post-script: So..my dearling, did you see that Gogol Bordello cover album art? It initially evokes two intersecting arrows but then the eye decides on crossed axe handles. A thought like a gurgle and pop: We’ve moved past the whizzing arrows phase of our friendship. Now we’ll enter into the hurling & hacking of shaman tomahawks, of elven axes. Axes with the disreputable heft of carnie roust-a-bouts. Axes with the honed glimmer of gypsy seers… suave & swarthy… with impressive mustaches, upon which, fairy acrobats do aerial tricks. They are weighty these axes but when wielded there’s a familiar folkloric flex. Flux. One question? Will we develop an axe-trading act, taking rambunctious turns at nearly missing the others head? Or will we just set off and hack — at the black — like psychopaths? This entry was posted on June 6, 2010 at 9:03 am and is filed under Friendship, I Heart Friends, I Heart My Love-Tribe, I Heart Tricksters, punk rock, Spirituality & Religion with tags art, change, correspondence, friends, Friendship, Gogol Bordello, the muse, writing. You can follow any responses to this entry through the RSS 2.0 feed. You can leave a response, or trackback from your own site.